Featuring self-contained accommodations with a spa bath and a private balcony, Village Motel is just 10 minutes’ drive from central Hastings. It offers a barbecue area set in beautiful gardens, airport transfers and free parking. A kitchenette with a dishwasher and microwave is standard in all rooms. Each room has a seating and dining area and a large flat-screen TV with satellite channels. 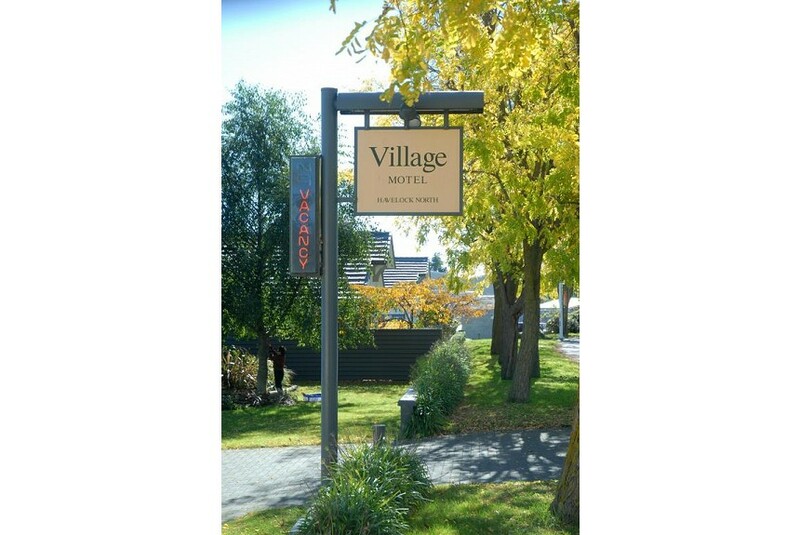 Village Motel Havelock is located opposite the popular Havelock North Village shopping center, and 15 minutes’ drive from Hastings Airport. Hawke’s Bay and a number of local wineries are within a 20-minute drive. Cooked and continental breakfasts are available for an additional charge.